The evocative and breathtaking landscape of the Grand Canyon, and the arid Southwestern sacred lands of the Hopi Nation will inspire us on our journey--both inward and outward. Where else can you encounter the most ancient culture in America and witness the pre-historic layers of our earth's geological story? Where else can you tour with caring people who are interested in finding greater meaning in life? Where better to tap into your own story of meaning and purpose? We want to free you from old, limiting self-beliefs and help you imagine a fresh way of living. We want you to feel inspired and filled with a greater sense of direction. 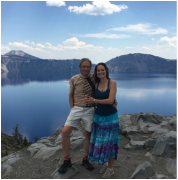 With years of experience working with people and leading tours, Stacy & David create an atmosphere of acceptance, warmth and fun. Their passion for your transformative journey is palpable. Their experiential activities awaken playfulness, intuition, relaxation of the mind and body. Their retreats provide ample opportunity for both solitary time and shared group experiences. Each participant's own unique journey is encouraged, even as shared experiences create meaningful bonds among the group. We will experience meditation of many kinds (singing bowls, imagery, walking); guided and free-write journaling (this activity is not about writing skill, but about finding your own voice, exploring thoughts, questions, self-limiting beliefs, and purpose); watercolor painting; exercises that will make you think about beliefs and patterns that limit and confine you; and explore questions of meaning and perspective. We will also help you cultivate the sacred art of self-care that will revitalize you even after you've returned home. Stacy Montaigne AuCoin, LCSW and David Summerfield believe in the transformative power you have within you. We've seen it unlocked time and again. We look forward to meeting you in person and welcoming you on a powerful personal journey of self discovery and insight--and one full of playfulness and laughter too. 5pm-6pm: Arrive in Flagstaff-check into hotel. Comfort Inn. ​2355 S. Beulah, Flagstaff 86001. 7:30pm: Meet in conference room for introduction and orientation. 10am: Arrive at Lowell Observatory for Solar tour. 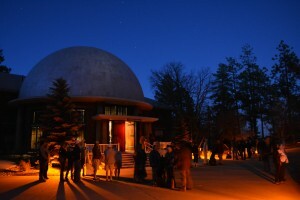 Lowell Observatory is the oldest observatory in the United States, build in 1894. It is said to be one of the top 100 places to see in the world. Pluto was discovered here in 1950. (It's stated mission: to study solar system and its expansion). View the sun with special telescope. 12pm: Northern Arizona National History Museum, 3101 N. Fort Valley Road. "America's Sistine Chapel"--700 year old mural remnants. Looking at symbol and imagery. Look at Kachina dolls, Navajo Rugs, Zuni art. Journaling activity around Hopi and other Native American symbols. "Thinking symbolically" and what does that mean? How is this relevant in our lives? Contemplation exercise. What is our place on earth? solar system? Universe? Perspective and how that changes meaning. This is not a story of natural disaster, but an opportunity to shift into a more enlightened viewpoint. 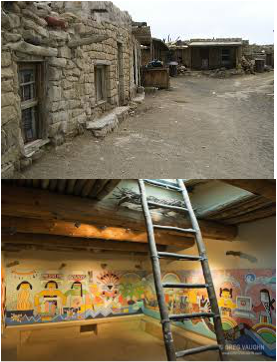 On the way to the Hopi Nation begin to discuss Hopi traditions: 4 world view. What is a Hopi? (Taken from Hopi writings) Relevance to our lives? Perspective shifts. Journal exercise. 7:30pm: Greeting and Orientation with Bertram Tsavadawa in outdoor courtyard or conference room. 1-2pm: Group Gathering, at Cultural Center hotel. Meet at conference room or outdoor courtyard for guided journaling, sharing and painting. Group activity around symbol, metaphor, dreamtime, imagery as tools for looking into intuition, wisdom. Evening sharing & meditation gathering with singing bowls during full moon in courtyard. 9am : Meet with Bertram Tsavadawa /or alternative event, perhaps volunteering our time on a project. 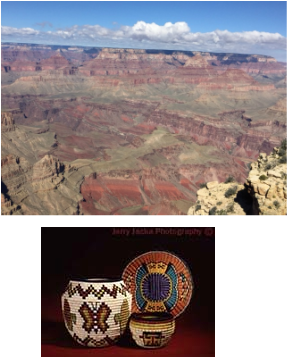 Afternoon, Drive to Grand Canyon--Stop at "Desert View" lookout to view the location of the Emergence Story of the Hopi. Begin to contemplate/ imagine your emergence story. 4pm: Visit Yavapai Geology Museum & Yavapai Point. We can purchase personal supplies for our rooms at grocery store. 7:30pm - 8:00pm: Evening activity - share what we've learned so far living on the edge of this time-expanding canyon. 9am: group activity, walk on trail along the rim and go to lookout point. 7:30pm - 8:30pm: Evening activity - To be determined. Includes an opportunity to view moonrise over the canyon. 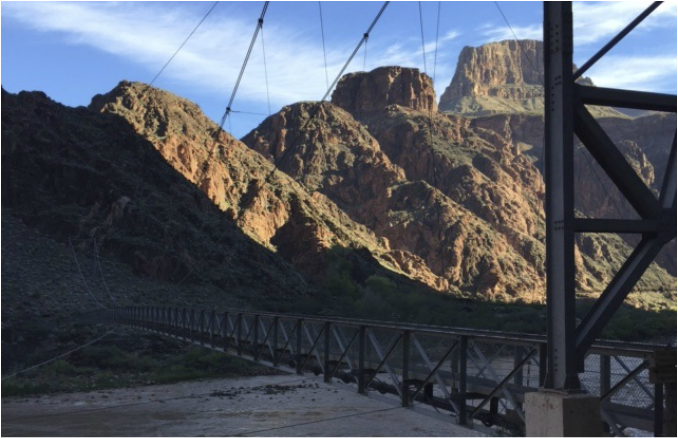 9am, Join David & Stacy for hike down one or two miles down the canyon--through the tunnel. Evening Activity: to be determined according to the group's needs. 9am: group meeting & activity. How to continue to support new insights and sense of purpose when return…the importance of self-care and continuing the journey. How? Afternoon, Drive to Flagstaff, stop at lookouts on way out of Grand Canyon. Visit Native American Art stands. Prepare for evening "performance" while on bus. 4pm-5pm: Prepare for "Creative Rendition of our Trip"
8pm-10pm: Goodbye ritual, "Creative Rendition of our Trip" performance in conference room. Breakfast and check-out: departure from Comfort Inn to suite your return home schedule! Happy travels!